On Tuesday Adrian Orr will take up the office of Governor of the Reserve Bank and thus become, for a time, the most powerful unelected person in New Zealand. In some respects he will in fact be more powerful than the Prime Minister, albeit over a much narrower range of functions, because it is much easier to oust a Prime Minister (see Tony Abbott and Kevin Rudd) or to vote her down in Cabinet than it is to constrain, or oust, a Governor. It is a statutory requirement that a Policy Targets Agreement, governing the conduct of monetary policy, be agreed between the Minister of Finance and any person he is considering appointing as Governor before that person is appointed. It is less than ideal that, three days out from Orr taking office, 3.5 months on from the appointment being announced, there is still no Policy Targets Agreement. Have Treasury and the Minister lost sight of the merits of predictability and certainty, and the fact that markets (and individuals and firms) operate on a forward-looking basis? But, apparently, the PTA will finally be signed/released on Monday, just a day before Orr takes office. One can only hope that there will also be a pro-active release of the background papers relating to this major component of New Zealand macroeconomic policy. If not, I will immediately be lodging OIA requests. We are also told that information on decisions the government has made about “the new decision-making structure at the Bank” and other material on Stage 1 of the review of the Act (focused on monetary policy) will be released on Monday. If the government has done the right thing, before too long Orr will be stripped of much of his personal power, to become primarily an agency chief executive, and perhaps primus inter pares on one or more committees. That would be a long overdue reform. Perhaps the Independent Expert Advisory Panel – which, thus far, has operated totally in secret – might open themselves to questioning? Perhaps too we might get some hints as to what Stage 2 of the review – content as yet undefined – will cover? You can expect there will be several posts on these issues next week. As for Orr himself, only time and experience will tell what sort of job he will make of being Governor. Today’s Herald has what can only be described as a puff-piece profile – they managed preferential access to the previous Governor (notoriously media-shy), and presumably are targeting ongoing good relations more than serious scrutiny. After having had monetary policy a bit too tight for most of this decade, we can only hope that their cartoon – the new Governor appearing to keep money securely locked away – isn’t inadvertently prophetic. There was another, rather more interesting, piece – from BusinessDesk – offering some thoughts from various economists on Orr taking up his new role. Hawkesby likened Orr to UK politician Boris Johnson. “The stereotype of a central bank governor is someone whose communication is cautious, reserved and dry. Adrian is more like Boris, with communication that appears more spontaneous and witty,” he said. I greatly enjoy a good Boris Johnson newspaper or magazine column, but a comparison to Boris Johnson seems a backhanded compliment at best. My own thoughts on Orr, and some of the opportunities and risks were in these two posts – here and here.). The article is well-worth reading for anyone interested in New Zealand financial system regulation and supervision, or in the governance and conduct of the Reserve Bank. structural separation would allow for the creation of stronger, more effective, cultures – with appropriately skilled chief executives – in each of the two successor institutions. In my assessment, the best way to achieve the needed changes is to remove the financial regulation functions from the Reserve Bank and move them to a new, separate agency. I am sceptical of the willingness or ability of the Reserve Bank to change its cultural DNA. Moving financial regulation out of the central bank was done in Australia with great success. Likewise, this has been done in many other countries, such as Canada, Germany, Japan, Sweden and Switzerland. At present, we don’t even know whether the government is open to considering this option – since nothing is yet identifiably included in the proposed Stage 2 of the review – but they should. It would be likely to make possible – although there are no guarantees – a better monetary policy agency and a better regulatory one. The Reserve Bank’s approach to policy formulation and consultation on regulatory initiatives is deficient. Too often, the Bank has allowed far too short a period for affected parties to make submissions on regulatory proposals. All too often the Bank has often given the strong impression that it has little interest in the submissions it receives – i.e. that it is consulting for the sake of appearance and has no intention of modifying its approach in light of submissions. It generally provides inadequate responses to submissions and insufficient justifications for any decision to reject points raised in submissions. The argumentation for policy proposals is often poorly developed. Cost/benefit analysis is typically provided to justify the Reserve Bank’s preferred option, rather than being objectively and rigorously developed at an early stage in the policy formulation process. There is very little substantive independent assessment of the Reserve Bank’s cost/benefit analysis. In stark contrast, the Australian system provides for much more rigorous independent assessment of all regulatory proposals. All of these deficiencies need to be rectified by imposing on the Reserve Bank much stricter requirements on consultation and cost/benefits analysis, and by bringing much stronger external scrutiny to the process. Similar arguments can be made for other regulatory agencies. One could add that the Bank’s regulatory impact statements are typically a joke, with no independent internal or external review – and thus simply serving to provide support for whatver a particular Governor has chosen to do. One could also add that the Reserve Bank remains highly averse to public scrutiny of its regulatory role, regularly falling back on statutory provisions – which themselves should be reviewed and refine – designed to protect commercially-confidential information obtained in the midst of a crisis, but used much more broadly than that. Thus, the Reserve Bank recently refused to release any of a consultant’s review of the director attestation regime – a central element in the prudential system. The utter lack of transparency around the Westpac capital models issue, or the stuff-up around the Kiwibank capital instrument are other examples. Perhaps more than some other government agencies, the Reserve Bank tends to treat the Official Information Act as a nuisance that really shouldn’t applied to them, rather than as an intrinsic part of our democratic system, and a normal part of being a government agency. The “but we are different” mindset is a hard one to break. And there isn’t much sign of any cost-benefit analysis in his proposals for spending quite a lot more money (or so it would appear) on these functions. I’m certainly sceptical of governments and bureaucrats wanting to spend more of our money on ‘financial literacy’ (as Geof suggests). ‘Physician heal thyself’ comes to mind – as Geof notes, the Reserve Bank will not even produce decent cost-benefit analyses for most of what it imposes on us. I don’t doubt that the Reserve Bank could do some things quite a bit better – process and culture included. I have also argued for removing some of the regulatory powers back to the Minister of Finance, and for more standardisation of the regime applying to all deposit-takers. But I’m more sceptical that even more supervision is likely to be the answer to anything much. A fair chunk of the global enthusiasm for more regulation, more supervision, over the last decade has been about backside-covering by politicians and regulatory agency officials after the crisis of 2008/09, with little attention to the inevitable limitations of regulation/supervision, including the incentives and constraints that face officials in regulatory agencies. Action was demanded, and action was delivered, but the analytical basis for much of that action was often thin, and not well-grounded in serious sceptical scrutiny of the causes of the crisis. The Reserve Bank is also not well placed to proactively identify and resolve emerging problems before they become obvious or the financial institution is about to fail. The recent failure of CBL Insurance is an example of this. In earlier years, the Reserve Bank was slow to detect and respond to problems in DFC (which failed in 1989) and BNZ (which came close to failing in 1990). I‘m not sure this is very persuasive. 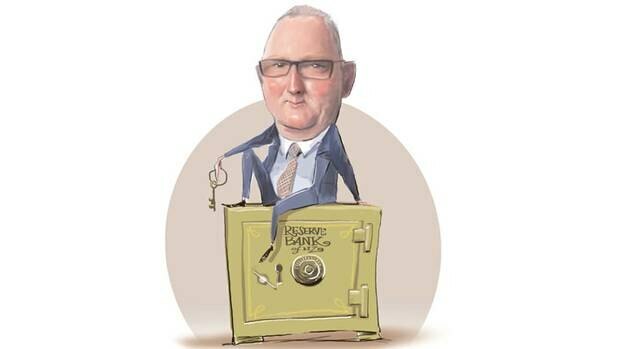 On the one hand it is worth bearing in mind that it appears the Reserve Bank was onto the CBL problems well before the market was – including bankers lending CBL new money – and the DFC/BNZ failures were almost 30 years ago, under different legislation in the earliest days of the Bank having any prudential responsibilities and in the immediate aftermath of far-reaching financial liberalisation (followed by booms and failures in various other countries including Australia and the Nordics). And on the other hand, we could note the crises and failures/near-failures (of regulated institutions or indeed the system) of the last decade in countries as various as the United States, United Kingdom, Switzerland, Denmark, Belgium, Netherlands, France, Greece, Italy, Spain, Ireland and so on. In many of those countries, the IMF had previously provided a tick in its FSAP reviews. Several of those countries will have – and did – prided themselves on their regulatory agencies, on-site or in-depth detailed scrutiny and all. Neither New Zealand nor Australia (nor Canada, nor Norway for that matter) ran into such problems. APRA may like to flatter itself that Australia‘s avoidance of crisis was down to their fine supervision – I’ve heard senior people run that line – and that New Zealand, free-riding on fine Australian supervision, was in the same boat. My response to that claim would be, at best, ‘case not proven’. It is also worth bearing in mind that the Reserve Bank isn’t the principal in this business, but the agent. It hasn’t been – and isn’t – funded for more intensive regulation and supervision, and that is a choice successive Ministers of Finance – advised by Treasury over the years – have made. In a sense, the Reserve Bank has done what Parliament – and Ministers – asked it to do, and in that sense that question isn’t just about the Reserve Bank’s competence and capability but about choices our political system makes regarding the intensity of regulation. All that said, if we might differ in emphasis, and in our confidence as to what value regulators and supervisors can add, we seem to be at one in favouring structural separation. A good part of the case for such a reform is the ability to build a culture dedicated to doing excellently, and only, the regulatory and supervisory functions Parliament delegates to the Bank. It is telling that, for a function that now bulks so large in the Reserve Bank‘s mandate, recent Reserve Bank Governors have had little background in banking or of financial system regulation (certainly true of Bollard and Wheeler, and to a lesser extent for Adrian Orr). At best, financial regulation and supervision is a part-time focus for the Governor. And the new Head of Financial Stability – an appointment made by Graeme Wheeler as he was leaving, without advertising the position – has no background in those areas at all. We can and should do better. That ball – structural reform and separation – is now clearly in the Minister of Finance‘s court. If you ask Julie Anne Genter, an American from the Green Party her opinion on reform. Her reply would be to get rid of the Aged White Male dominated Board of the RB and the new RB governor appointment should have been a Young Maori woman or any woman other than white male ideally. Nothing really needed with experience or temperament or qualifications or networks. With Shane Jones getting heavy handed with Air NZ and Julie Anne Genter openly racist and aged discrimination biased, this government has really no control over its various MPs that will do and say whatever they want. Running around like a headless chook. Despite difficulties, NAC managed a spectacular expansion of air services. By December 1951 it was carrying passengers on a network from Kaitāia to Invercargill. Provincial businesses, politicians and citizens were quick to appreciate the service, and increasingly reluctant to risk disruption or loss by any dismantling of NAC. The airline had regained profitability by 1952, and National’s threat to sell it receded. Politically secure again, NAC remained the dominant airline until its enforced merger with Air New Zealand in 1978. If I owned shares in an organisation which was controlled by a board of the same age, gender and ethnic background I would be concerned. Especially if the age was just before retirement. From what I have read Ms Genter was making much the same point – no objection to pink men in their sixties (as per myself) just the lack of variety. I have no particular liking of Ms Genter but she has been the victim of our media stirring up trouble to grab readers. Helen Clark and Jacinda Adern have been more adroit at avoiding such storms in a media teacup. On the other hand if Julie Anne Genter has disowned her father I will take my remark back. Bob, most board of directors are White, Male and Aged. According to Julie Anne Genter 81% of board members are in this category. Truthfully, have you really and truly felt any real concerns or are you just making up politically correct comments? As far as I am concerned why fix something that is not broken. If being White, Aged and Male are better at being directors and Chairman of Public organisations then this is not bias. Plain and simple. They do a better job. They have the wisdom through age, knowledge through their qualifications and experience and they have the networks. Sticking a woman of colour in just does not tick all the right boxes to get the best quality people at this time.